Samsung Galaxy Note 4 Duos SM-N9100 latest firmware Android Version 6.0.1 download link for free you can download directly that firmware package on media fire if you want to update with latest version android 6.0.1 with Odin then you can download it on your PC and update your phone with latest Android version 6.0.1 Marshmallow. 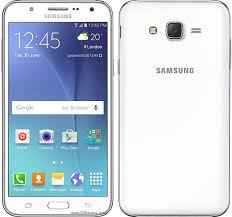 This is an official updated version for Samsung Galaxy Note 4, not custom so download the latest version and enjoy Marshmallow on your phone you can update this version with Odin easily or if you have any other Samsung flashing device like Z3X Samsung tool or NS Pro have also support of flashing that file. That method (OTA) you don't need to download the full firmware from our download link you can check the update for your phone firmware automatically without any other requirements only connect your phone wifi and go to setting and then >About> then tip on software update if your phone have any updates you will find here if you smartphone has any firmware updates for here you can get latest updates after click on start downloading update when download compared you have to click on install and your phone will reboot and start updating. Why you need to flash your phone! When you flash or hard reset your smartphone or another android device it removes all the case of our phone and makes it fresh. Besides, while browsing the internet, or share data via wifi or Bluetooth our phone can be get affected by malware. When you flash your device, during the flashing all the old data will be removed and the malware from your device also removed. There are some apps you have sometimes installed from unauthorized sites or clicking on adds while doing something online on free apps then it will be difficult to uninstall from your device. These apps also decrease the space of your phone memory. In this case, you need to flash your device. Many software on a mobile phone has the expiration date. Every year the company brings the update of the mobile software. So, it is essential to update the software to keep the phone alive and up to date most of the mobile phone brands give updates of there smart devices to look like a new one. Thus flashing makes your phone life extended. It also increases the battery timing. if your phone did not work properly and showing errors during doing something like gaming or chatting its showing errors like that (android system has stopped, Google has stopped working or any game which you love to play during the playing that game your phones says XYZ has stopped) in that type of cases first of all try to make a soft reset your phone form setting after soft reset your phone will start working. After soft resetting, your phone still showing errors then make a hard reset your phone will be OK.
At last, after soft and hard reset you are getting the same problem then you have to flash your phone with the latest version of firmware of your smartphone then your phone will start normally and work fine. SAMSUNG USB drivers must be installed on your PC. Odin must install on your PC. Download the zip package by giving a link. Unzip the zip folder on your PC any drive. Open Odin latest version or which you have. Then select one from all the files where you extract the zip file like BL, AP, CP, and SCS or if you have one pack file then put that file on AP. Then put your phone DOWNLOAD MODE holding power+vol down+menu together. Then connect USB cable with your phone USB driver must be install. When phone connected to PC on Odin ID: COM will show com port. Then without clicking anywhere just click on start button. After flash don phone will be restart automatically. so you have flash you Samsung SM-J500F enjoy. That firmware update is only for only for Samsung Galaxy Note 4 Duos SM-N9100 don't try to install that firmware on other models of Samsung Android devices that can destroy your phone first try to make full reset your phone will start normally after resting if your phone did not work will then make full flash then your phone will work well.